Based on the best-selling book Remember the Time: Protecting Michael Jackson in His Final Days, this Lifetime® Original Movie is told through the eyes of the King of Pop’s trusted bodyguards, Bill Whitfield and Javon Beard. Navi, the world’s #1 Michael Jackson tribute artist, stars in his acting debut alongside Chad L. Coleman as Bill Whitfield and Sam Adegoke as Javon Beard. 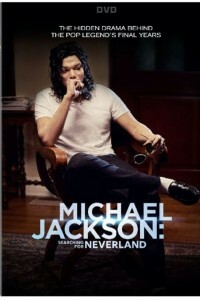 The movie reveals firsthand the devotion Michael Jackson had to his children, and the hidden drama that took place during the last two years of his life.